Happy 2019, dear friends and clients! My studio is busy as ever as I am trying to keep up with newborn clients. My 2018 was filled with so many new clients who I loved meeting and working with, and also reconnecting with past clients (just photographed their 3rd newborn for an old client of mine, omg! ), and I couldn’t feel more thankful and honored that people trust me to capture the most precious moments in their families’ lives. Thank you, and I am hoping you are all having a wonderful, warm and safe winter. And, since I haven’t shared in a while, here are some of my favorites from a recent newborn session (also, a past client, I photographed this sweet little newborn lady’s brother just two years ago!). If you love my work (check out more of my newborn photography in the galleries on my website) and would like to schedule a newborn session for baby (I book 6 months in advance of the due date! ), please email me at chasingmoments@gmail.com or give me a call at 202-251-6368. As my kids returned to school this week, and the busy fall photography season is starting (September and October are my busiest newborn photography months! ), I am playing catch up with my blog posts. It is a very long shot, I know, as I am two years behind on posting my favorites from clients sessions. Yet, I am an optimist! 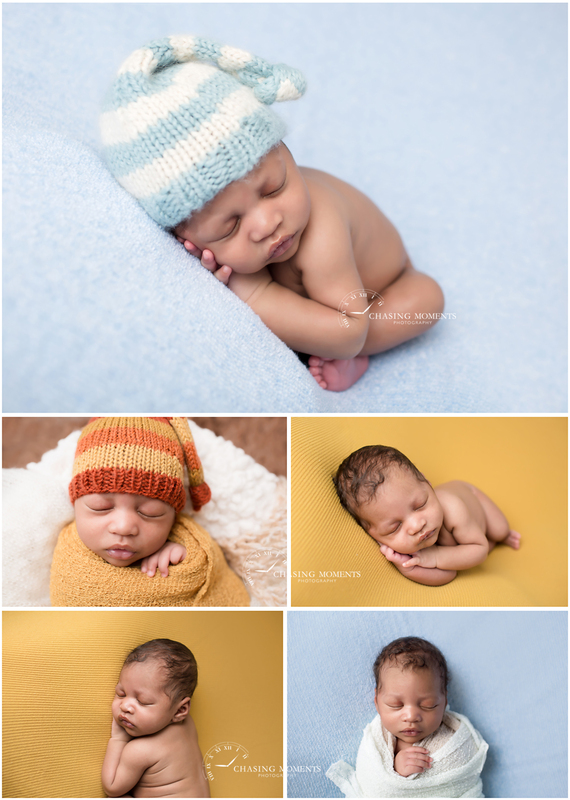 So, here is a throwback to a beautiful newborn session from 2015! This little man arrived to the studio with his own sports gear, and looks like he enjoyed his very first photo session! I wonder if he is now getting into baseball or football! If you like my newborn photography work and if you are expecting in 2017 or 2017 (I am now booking clients with due dates into February 2018!) please email me at chasingmoments@gmail.com or call me (202) 251-6368 to schedule your newborn session.